We manufacture and export an enticing range of semi precious, precious stones studded, metal gold and sterling silver jewelry for our list of exclusive clients spread across the globe. Crafted out of quality gold and silver and designed with precious and semi-precious stones, every piece adds sparkle and charm to our fashion conscious clients. 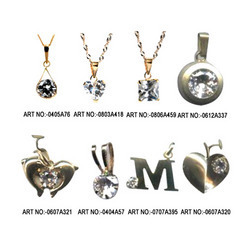 We offer our collection of jewelry in more than 150 designs and variety of finish. Further, we also meet customized requirements and offer these at competitive prices. 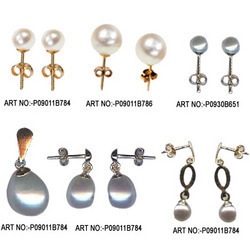 We offer a simple yet exquisite range of Designer Earrings that are artistic and exclusive and exhibit ultimate finish. We offer a stunning collection of designer pendants that lends a touch of beauty to the personality of the wearer. 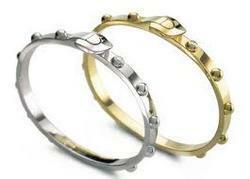 We are one of the leading manufacturers and exporters of a light weight sheet metal gold and sterling silver jewellery. 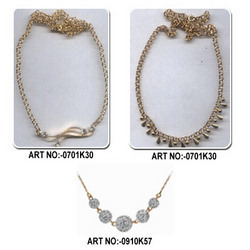 Our collection comprises variety of Fashion Necklaces. Manufacturing finger rings. Our range comes in various shapes and sizes, that is easy to wear and maintain. 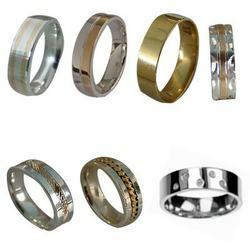 These finger rings are as per the contemporary trends and patterns and is best suited for all age groups. Leading Exporter of Bracelets from Noida.